After months of exclusivity on the Pixel and Pixel XL, Google is opening up Assistant to a bunch of Android phones in the U.S., Canada, the UK, Australia, and Germany. Assistant might be the future of voice-controlled intelligence on our Google devices, but Google hasn’t made it easy to get it. There are versions of it on Google Home, the new LG watches, and in Allo chats, but if you wanted the full mobile Assistant experience, you had to commit to buying one of the Pixel phones. That’s all about to change with a coming Play Services update. Right on the heels of LG’s declaration that the G6 would be the first third-party phone to feature Assistant, Google announced that it would be bringing its voice-activated concierge to all phones running Nougat and Marshmallow. 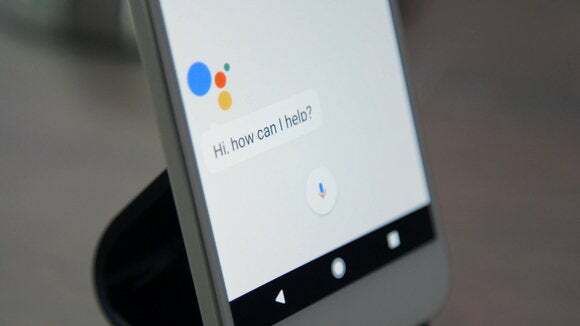 As it is with the Pixel, users will be able to summon Assistant by saying “OK Google” or long-pressing on the home button. While Assistant’s capabilities vary depending on which device or app you’re using, it appears as though the full Pixel version will be used here, letting you tap into Maps and Calendar, receive weather reports, and control smart devices, among numerous other commands. Google says Assistant will begin rolling out this week to English users in the U.S., followed by Australia, Canada, and the UK, and German speakers in Germany. While Assistant on the Pixel also supports Hindi, Japanese, and Portuguese, Google says it will continue to add more languages throughout the year. The update will automatically deliver Assistant to eligible Android phones running Nougat and Marshmallow. And with a flurry of phones due to release at Mobile World Congress this week, it’s likely that LG won’t be the only new handset to build in support for it. A-OK, Google: While this move might be a bit overdue, it’s the first necessary step toward Google’s goal of making Assistant available wherever we need it. Assistant isn’t just an answer to Alexa, Cortana, and Siri, it’s a strategy to bring voice-powered commands to all Google devices, and the only way that’s possible is to get it on as many phones as possible.